If you could bottle true emotion in a fragrance, then Soul 2 Soul accurately captured the love between country super stars, Faith Hill and Tim McGraw in their new 2012 fruity-floral scent. You feel the happy excitement of their romantic story as radiant fruits like Georgia white peach, apple blossom and grapefruit open this beautiful eau de toilette that I was sent to review. As the scent develops you can understand another aspect of their powerful commitment to each other when the everlasting flower emerges among a passionate floral bouquet of Princess Rose and lotus flower. As Soul 2 Soul warms further, you can sense the passion between this famous couple with the addition of sensual woods and velvety moss. This is a light, airy fragrance that will whisk you away to your own romantic place and allow you to dream and live out your happiness fantasies. 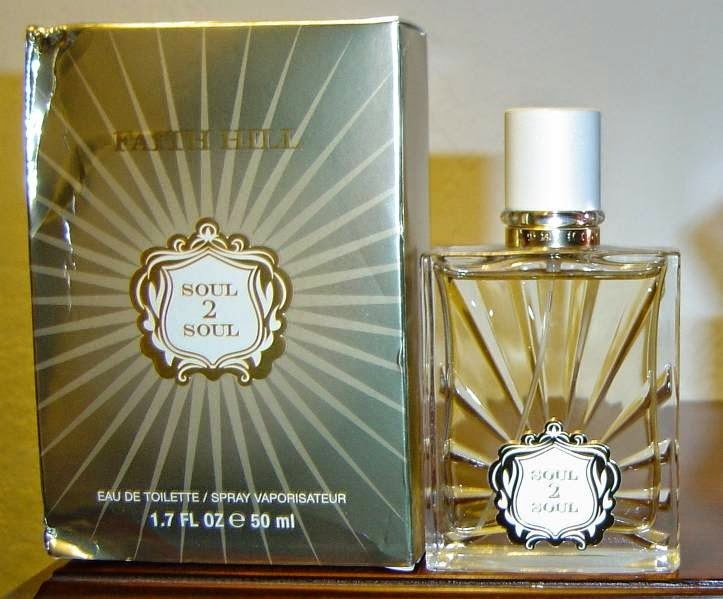 Think of hearts and flowers, gentle caresses, meaningful glances, and passionate kisses–only in a bottle in Faith Hill’s Soul 2 Soul fragrance! This fragrance as it blooms to life with those fruits, floral, and wood is a classic love story and I love wearing this scent. I honestly think Soul 2 Soul can lift your heart and warm it while also surrounding you in a picturesque garden. Now don’t you want to experience that soulful journey yourself? This scent comes in the.5 oz., 1.0 oz., or the 1.7 oz. eau de toilette. This is also Tim’s version of Soul 2 Soul available for men.